Are Too Few Stocks Driving the Market? We’ve seen lots of recent commentary expressing concern about the dominance of the S&P 500 by just a handful of tech companies. Many investors are familiar with the FANG stocks (Facebook, Amazon, Netflix and Google). We consider the market cap weighting of the S&P 500 index to be a drawback, and one of the reasons we prefer the investment approach of Dimensional Fund Advisors (DFA). 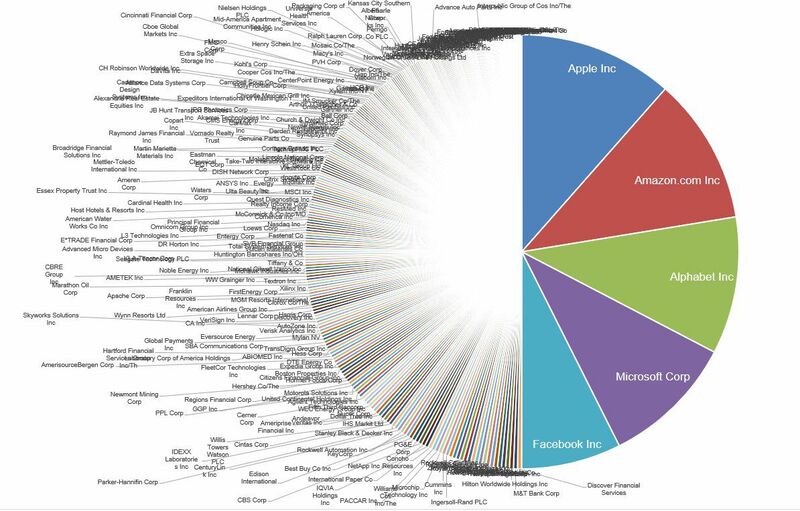 As of the end of June, the four largest companies in the S&P 500 (Apple, Microsoft, Amazon and Facebook) represented 12.5% of the index. Conversely, the same four companies represented 8.7% of the DFA US Core Equity I fund, which we use as the main large cap fund for our clients. It stands to reason that a portfolio of stocks tilted toward a more equal weight is more diversified than one based on weighting each company based on its market capitalization relative to the total. Diversification is the only “free lunch” available to investors, and we believe eschewing market cap weightings in favor of a more balanced weighting strategy of the type employed by DFA is likely to reduce risk and increase performance over the long run.